Striker Trevor was signed by Dave Bassett in 1987 having been record goalscorer for Reading. In a season of struggle for the club, Trevor scored only one league goal, and finally joined Middlesbrough late on in the same season and scored the goals that helped take them to promotion. Currently at Dorchester Town as Assistant Manager, Trevor spoke to Watford Legends in 2008. Hi Trevor. You joined Watford at quite a contentious time, whilst Dave Bassett was in charge. What was that like? The timing was wrong as it turned out, but you don’t turn down the chance to play at the top level if it comes along. Watford came in for me. I had been at Reading, and their style of play was very similar to the way Dave Bassett liked to play, long ball, get it forward and get crosses in which I thrived on at Reading. Being at Watford was very different though. I was on tour with Reading in Germany, which consisted of six hour bus journeys, plane journeys and boat journeys to an army camp and that was my first week of pre season. I got back from that and my wife told me that Reading had agreed a fee with Watford and they wanted to see me the next day to discuss the move. Dave Bassett had flown back from Sweden to speak to me and we quickly wrapped up the medical and I signed. I was then flown out first class to Sweden for the second week of their pre season tour. It was all expenses paid, somebody to carry my bag for me, all in all a complete contrast to what I was used to. It went well out there. I played the first half of the first game that we won 4-2 and I played the 2nd game where we beat mediocre opposition 5-0. I scored all five which was a great start. And what about when the season started? 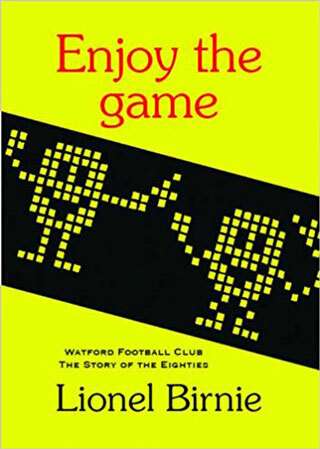 I think Graham Taylor had slightly modified his long ball game before that, so it wasn’t so much pumping long balls up front, it was more knocking it long but out wide to Barnes or Callaghan. Dave Bassett’s idea was to get myself and John Fashanu or Alan McNally. The plan being for Fash to knock the defenders about and for me to get the loose balls. He also tried to get Callaghan back from Derby. So the ultimate aim was to have two good wingers and two big men up front through the middle but he only managed to get Glyn Hodges and myself. Glyn Hodges did ok, but it was still very much long ball and the dressing room was completely split. You had Dave Bassett’s seven or eight signings that knew what was wanted but the lads that were already there before Bassett didn’t want to play that way. Dave Bassett was under the spotlight. As he had done so well at Wimbledon, people wanted to analyse him at a different club. I also ended up coming in for a bit of stick. They brought me in for big money having sold Barnes to Liverpool so there was high expectation on my shoulders. Barnes was a different class to most; I wasn’t ever going to be as good as him. How big was the difference in class between the leagues? I used to pick up the programme before a Reading game and look at the centre halves and most of the time it would be one experienced and one young lad who I fancied my chances against. You get to the top level, look at the programme and realise there are no weak links in any team at all, Hansen and Gillespie, pairings like that. I only scored one goal up at Sheffield Wednesday. I would hit shots and think they would be in but somehow they would be saved. But you are not against young keepers; you are up against people like Shilton. Elton was in the papers a lot as well, as the famous chairman. A class bloke. Really nice. He had the club at heart and was completely genuine. The day I left the club I was on the phone to a girl in the office and it turned out he was in the office at the same time. He took the phone off the girl and wished me all the best and sympathised with what I had been through. He was a good bloke. It simply didn’t work out at Watford and I was close to packing it all in together before I went up to Middlesbrough. It was only having made some close friends out of team mates that helped me. Bad memories in all at Watford then? I wouldn’t change it for the world believe it or not. It all seemed right at the time; I made some good mates and played at some great grounds like Anfield, Old Trafford, and Goodison. I wouldn’t make a different decision. After Dave Bassett went, I really just wanted to get out. I felt I had let Bassett down as I hadn’t produced the goods but I spoke to him when he went and he wished me well. Steve Harrison came in and tried to improve my confidence and I scored a few goals and it was going ok. But around deadline day it had gone bad again. I was getting stick and I decided I couldn’t go through it again. I had been out shopping with the missus when we got home to a message from Bruce Rioch at Boro. I knew where it was but my missus didn’t! We got straight in the car and went but it was only then my missus got the map out and realised where it was. She cried! I loved it up there, I was only there six months but it was great. They had some great players. Pallister, Ripley, Laws, Mowbray and Dean Glover. I made a bit of a name for myself because of the play-off goals. I still get some calls now to do a bit of radio work etc up there. I scored against Bradford in the semis and against Chelsea in the final to get us back in the Premiership. And then back to Reading? It just all went well at Reading. I scored a goal every other game. I love the club. I’m still the record scorer there and nobody can take that away from me. How would you view your career as a whole? An experience. I played under some great people, some great people and really enjoyed it. After Reading I went down to Woking and I was on a full time contract on good money but my knee was beginning to give way on me. I played at Farnborough as well which was great. I had some great times there but, like I say, injuries were catching up with me, my knee was bad and my hip isn’t right now. I’m waiting on it being replaced. I’m still in football. I live down in Dorchester now. I played for Weymouth and managed them for a while; I’ve also managed Bridport and Bridgewater. I have also been doing coaching at schools for the past 15 years which is great. I have a two and a half day a week contract at a school now. We do football, rugby and cricket. Only at primary level but it’s really rewarding. The kids enjoy it. The teachers have to dedicate 10 per cent of their time to marking so I fill that time for them. It’s a good way of life. I will do it for as long as I am mobile enough. I might get back into management again. I’ve done a bit at under 18 level and I enjoyed that. Well thanks for your time Trevor, and all the best.